ASPINAL of LONDON iPhone 6 Black Leather Cover Book Case! New! Only £45,90!!! Genuine Black PU Leather Flip Wallet Case Cover for iPhone 5/ 5S with Free Screen Protector! Precisely Designed Flip LeatherWallet Flip Case is a perfect fit for your version of Apple iPhone 5/ 5S. 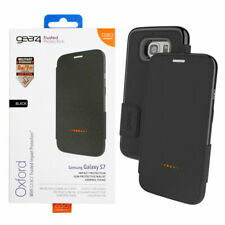 Made with 100% Premium Soft, Smooth, Durable PU Leather. 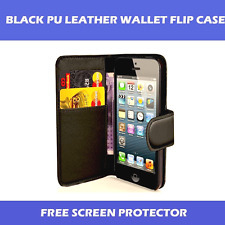 4.5 out of 5 stars - BLACK PU LEATHER WALLET CASE FOR iPHONE 5/ 5S WITH FREE SCREEN PROTECTOR!! 127 product ratings127 product ratings - BLACK PU LEATHER WALLET CASE FOR iPHONE 5/ 5S WITH FREE SCREEN PROTECTOR!! New For Apple iPhone Xs Max / iPhone Xs / iPhone Xr!! NEWEST COMING FOR iPhone XS MAX XR,NOTE 9!FREE POST!